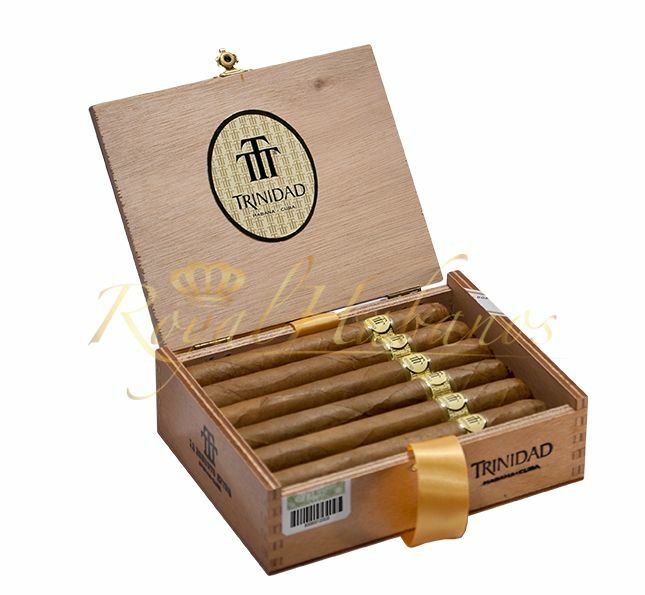 Trinidad Robusto Extra cigars come in a Double Robusto shape, a medium to large length and a gauge size of 50. The exterior of these hand-made cigars show the top quality of the El Laguito factory, having a natural brown color and a soft touch. The strength of the cigar is full and the flavor palette is very complex, displaying nuts, coffee, vanilla and earth that mix perfectly with the echoes of flowers for the ultimate Cuban experience.